Tacocat have released a new single. After February’s Grains Of Salt, The Joke Of Life is a pleasant guitar-led track that takes Tacocat’s earlier punk sounds in a more pop-based direction. The latest from the Seattle band’s upcoming fourth album, in true Tacocat style it mingles their political critiques with a vibrant and warm energy. The Joke Of Life’s accompanying video sees footage of the band dancing wildly, playing with goats, and generally having a bit of fun. ‘This Mess Is A Place’ is due on May 3 via Sub Pop, which they’ll support with a US tour throughout May and June. 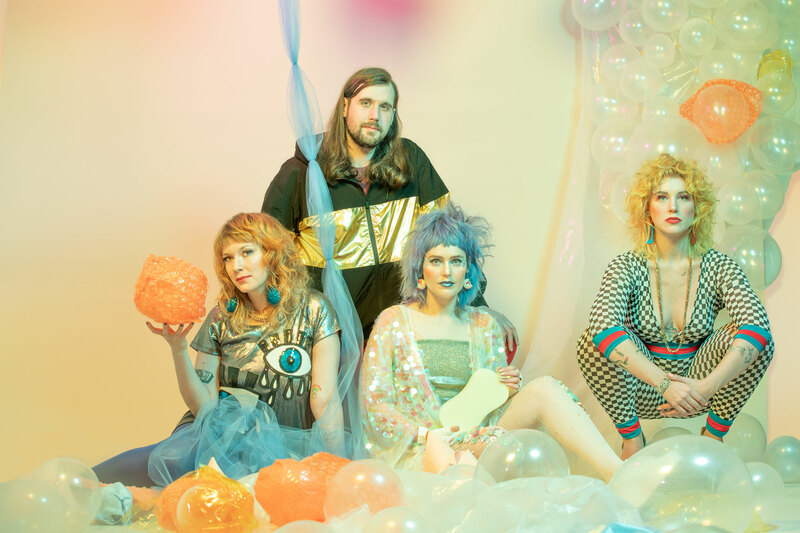 Photo: Helen Moga Tacocat have announced a new album. Tacocat have posted a video for The Internet. Summer is finally here, so you’ll be needing a new favourite band to be getting on with. Look no further than Tacocat. Since getting together just under a decade ago, the Seattle pop-punks have put out three albums, four EPs and two tapes, culminating in the recently-released ‘Lost Time’.